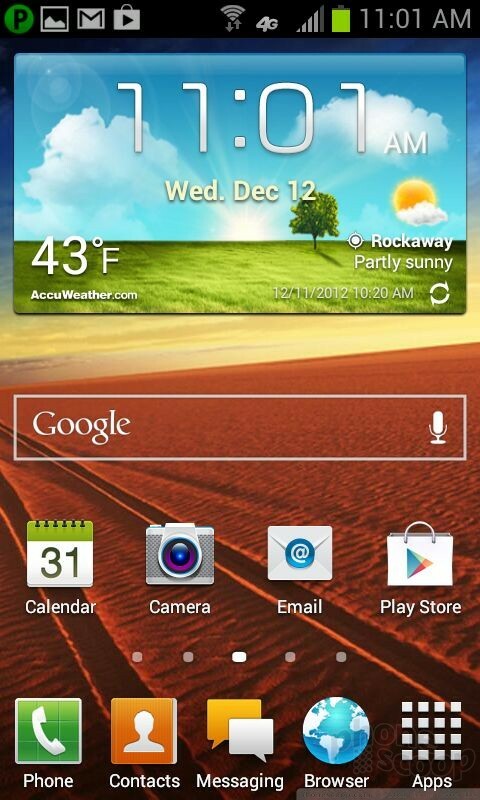 The Rugby Pro runs Android 4.0 (Ice Cream Sandwich) with the same TouchWiz user interface that has appeared on many of Samsung's devices this year. It includes customizable lock screen shortcuts, five home screen panels for customization, and a fully adjustable main app menu. 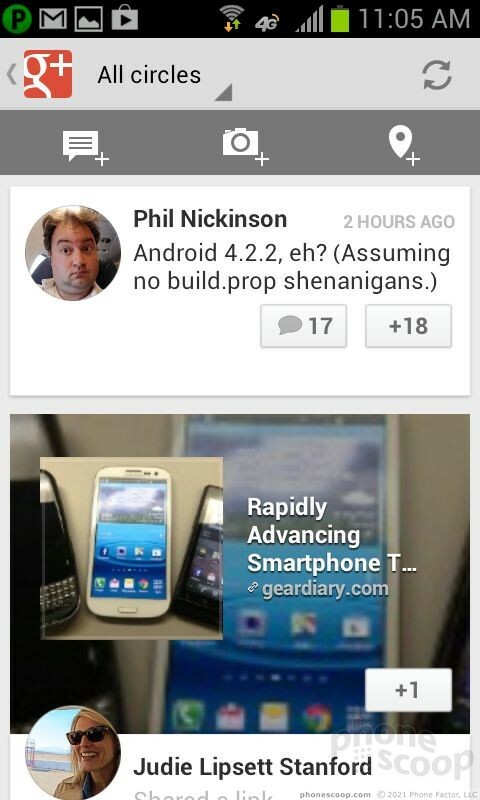 Apps can be rearranged, viewed in grids or lists, and hidden from view entirely if you don't care to see them. 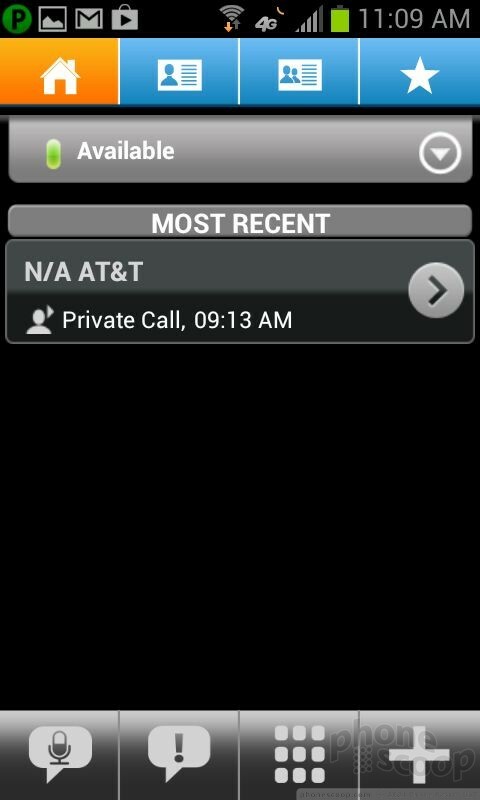 The notification shade offers quick access to the radio controls, and there are plenty of widgets on board, too. Performance of the Rugby Pro was great. It has a zippy Qualcomm Snapdragon S4 Plus processor on board, which handled every task in a jiffy. 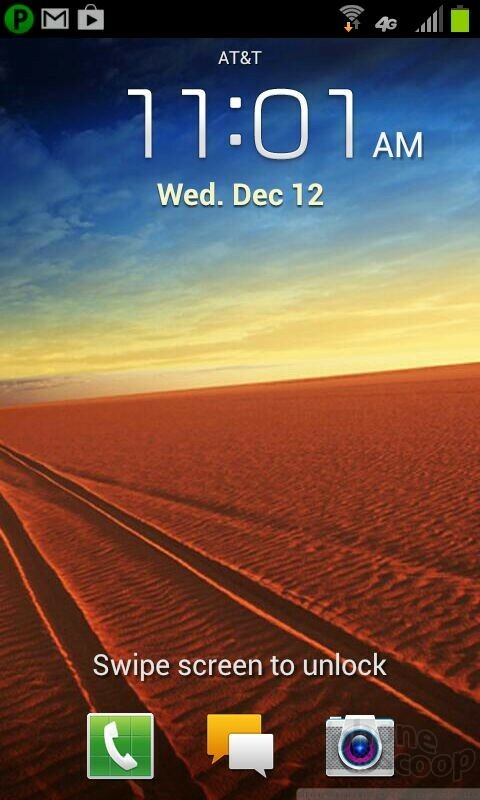 The phone and contact applications work exactly as they do on other TouchWiz devices. The phone is dead simple to use and the contact application includes useful widgets and tons of data about your friends, family, and colleagues. It also meshes well with social networks. 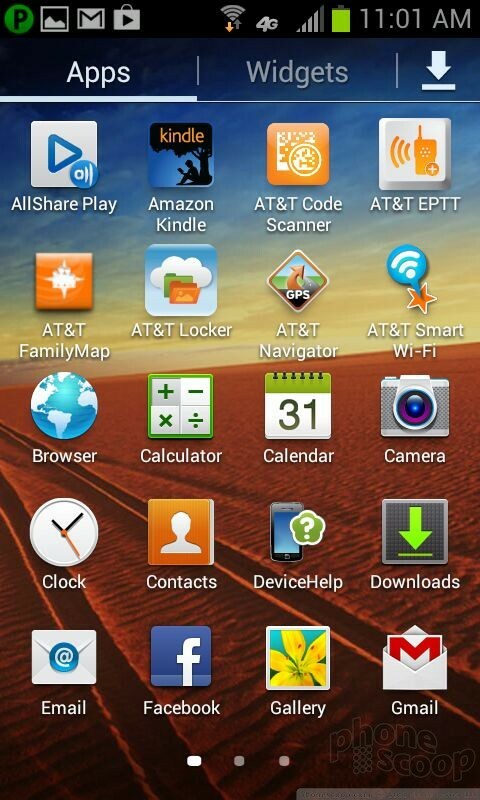 The big feature of the Rugby Pro is AT&T's new "Enhanced PTT" service. It's a rejiggered push-to-talk system that, according to AT&T, makes major improvements in call set-up speed and call quality. 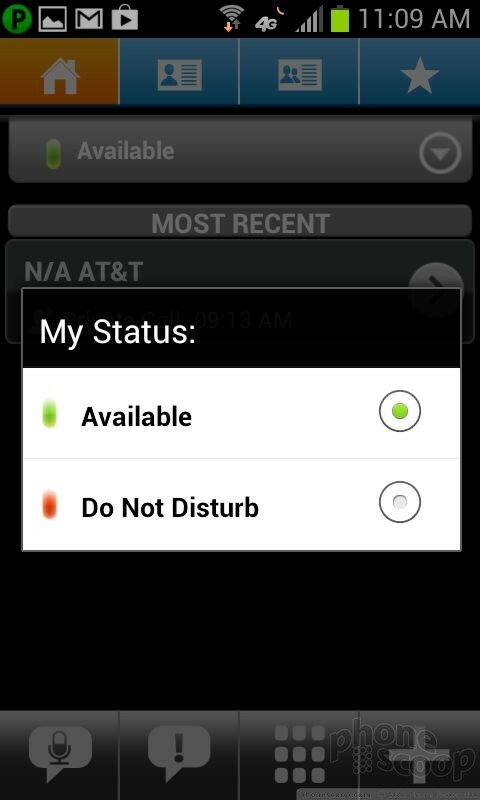 Oddly, neither of the review devices I received from AT&T had the service preinstalled. 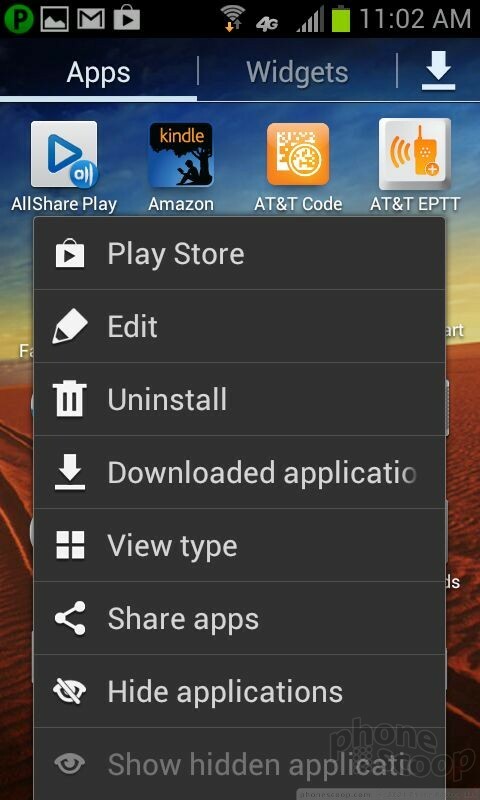 I had to download the "AT&T ePTT" application from the Google Play Store. It took about a minute to download, install, and then initiate with AT&T. First things, first: The obvious PTT button on the side of the phone is not, in fact, a PTT button. Instead, it is a user-assignable button that can be linked to any application on the phone. Out of the box, it is not linked to anything. 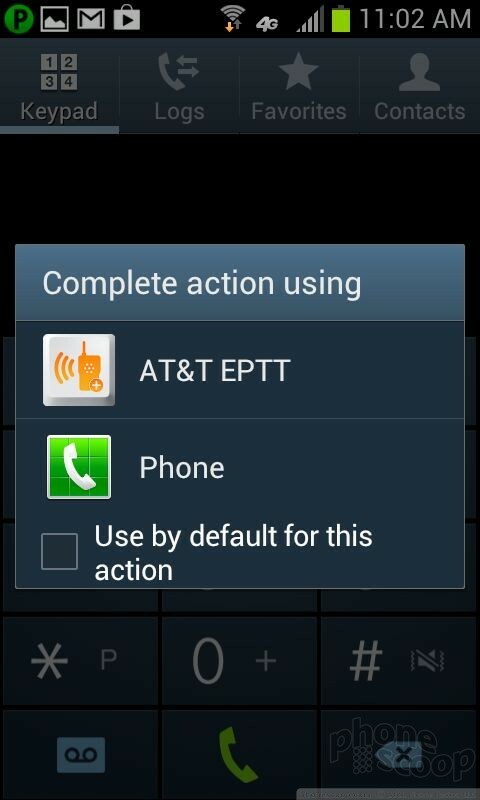 If you want it to launch AT&T ePTT, you have to manually set that youself. Once assigned, it will launch whatever app you choose with a long press. The application itself is somewhat easy to use, but not instantly intuitive. 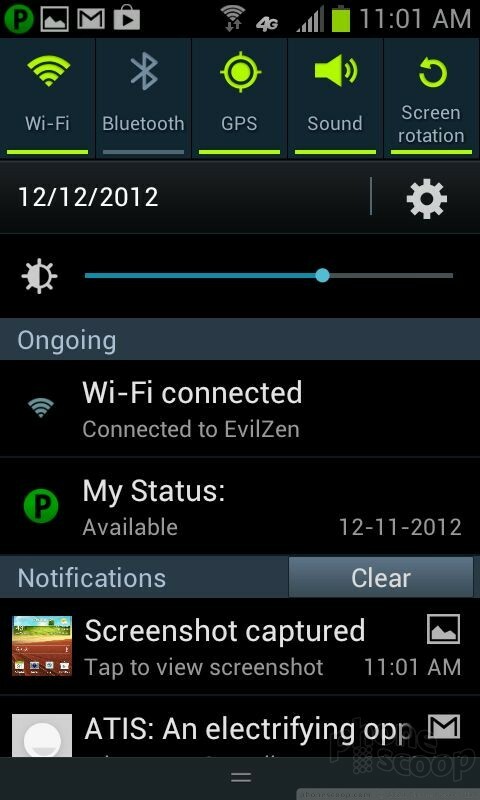 It took me a few moments to figure out how to send a notification to another handset and then actually make a PTT call. The app has some serious usability flaws. 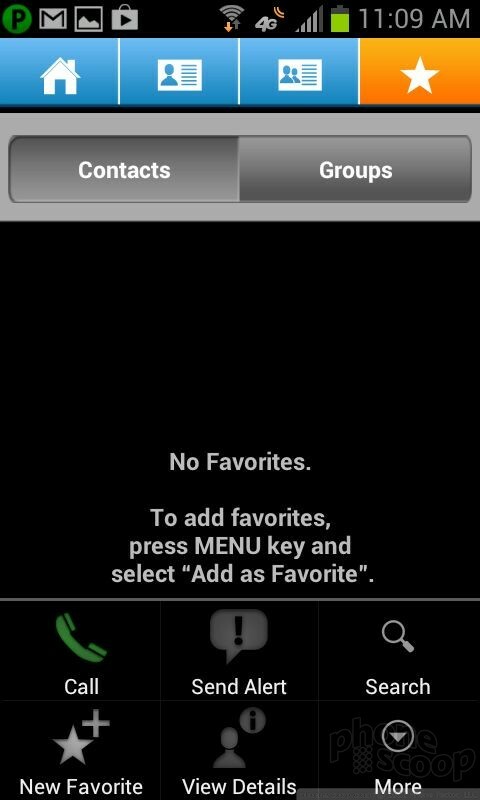 It doesn't natively sync with the on-device contact app. 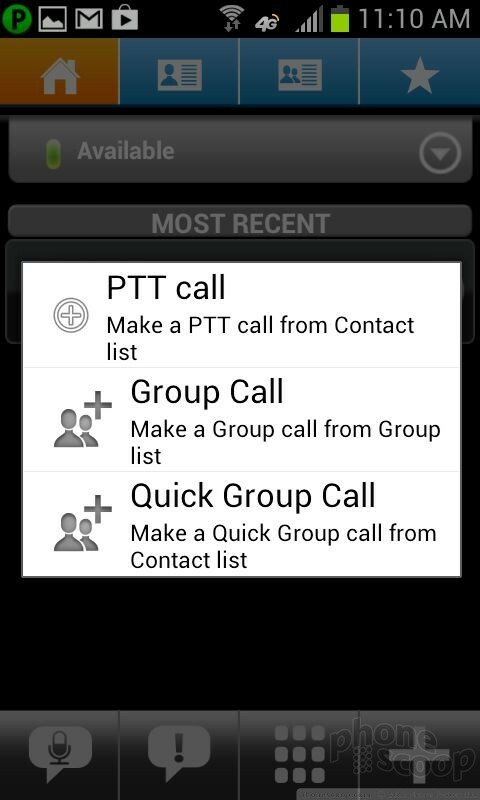 You can pull contacts from the main contact app to the ePTT app, but it is done one at a time rather than en masse. 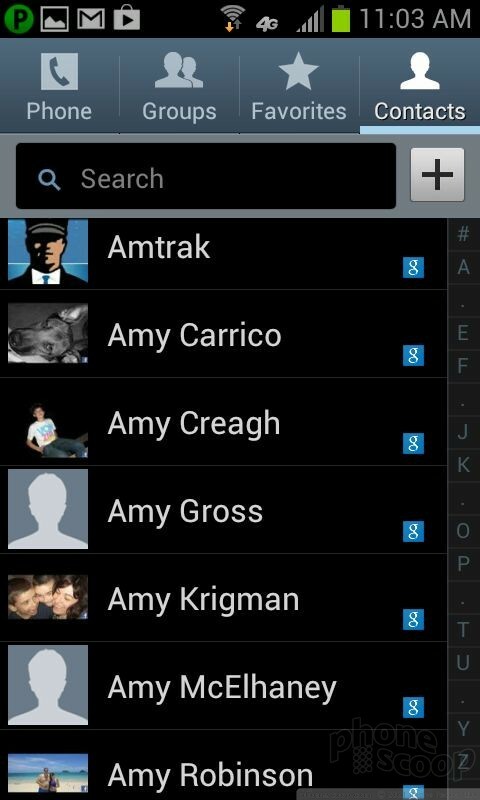 I don't know about you, but I don't have the time to move all my contacts over individually. The app itself supports up to 1,300 contacts and 130 different groups. 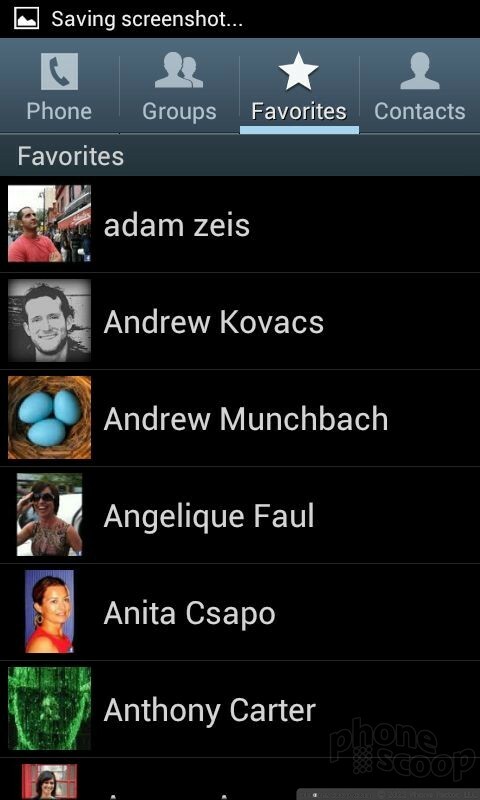 You can also choose to set up a handful of favorites for faster access. There are two different ways to reach out to people. 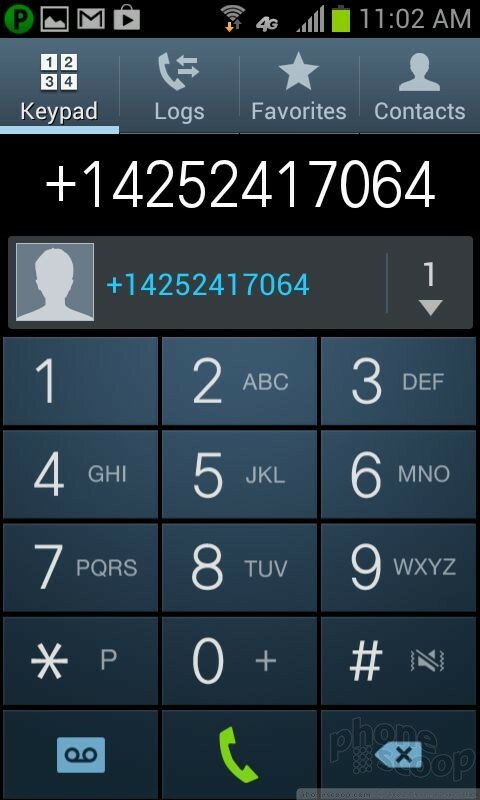 The app supports presence, so you know when someone's phone is able to accept PTT calls. You can send an alert, which basically wakes up the other person's phone and lets them know you want to talk, or you can just fire off a PTT call directly without sending an alert. 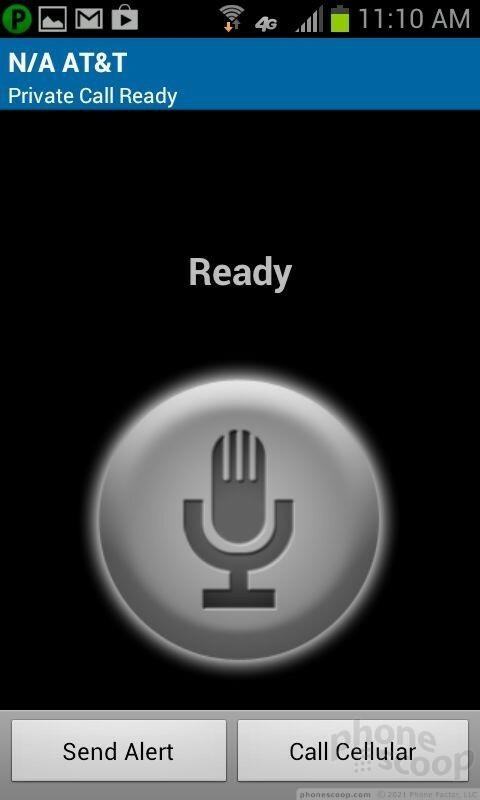 Either way, the PTT button can be used as normal (just like a walkie-talkie) for controlling the conversation. 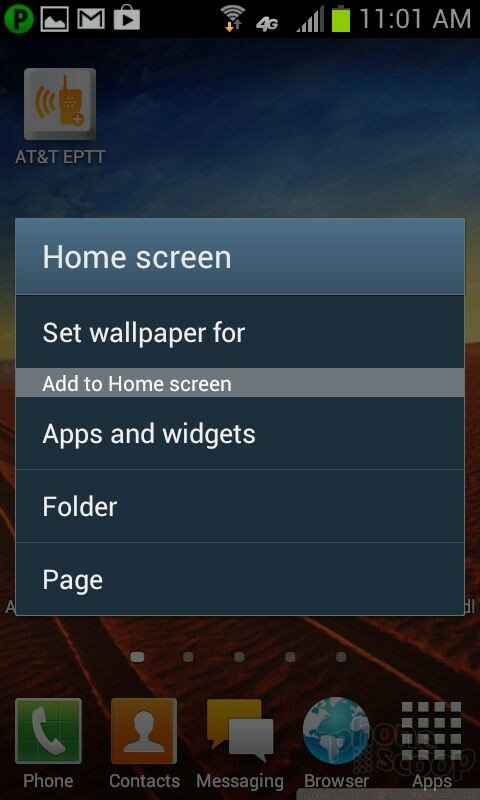 The app also includes a huge software button in the middle of the screen. 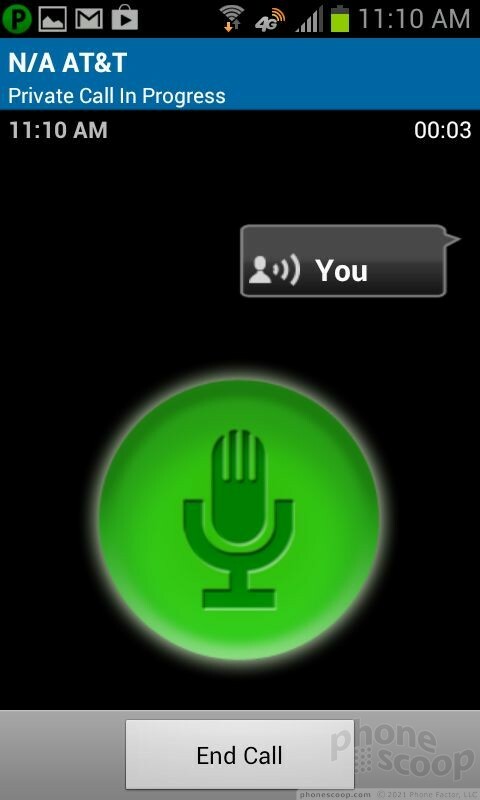 The button is green when you are talking and red when the other person is talking. You can press this software button instead of the physical PTT button if you so desire. What really matters is how the calls perform once you deal with the strange software. 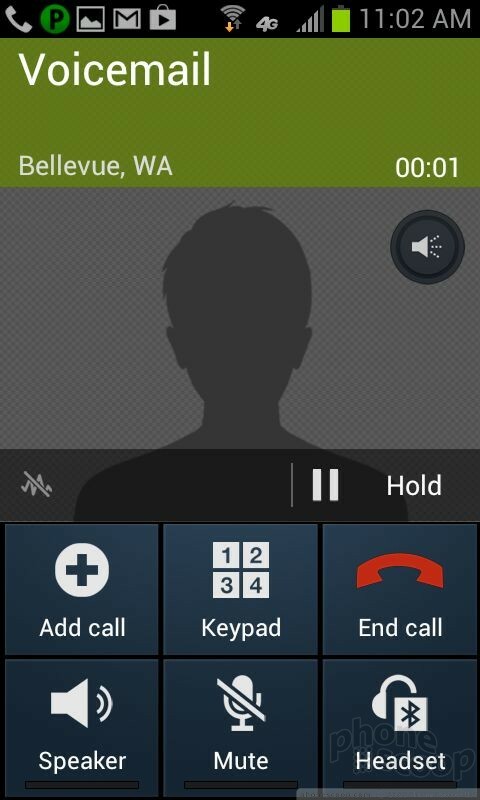 The calls connect in a blink, definitely in less than a second. As noted in the calling section above, the quality of PTT calls is perfect, but they are way too quiet on the Rugby Pro, even when the volume is set to the maximum. 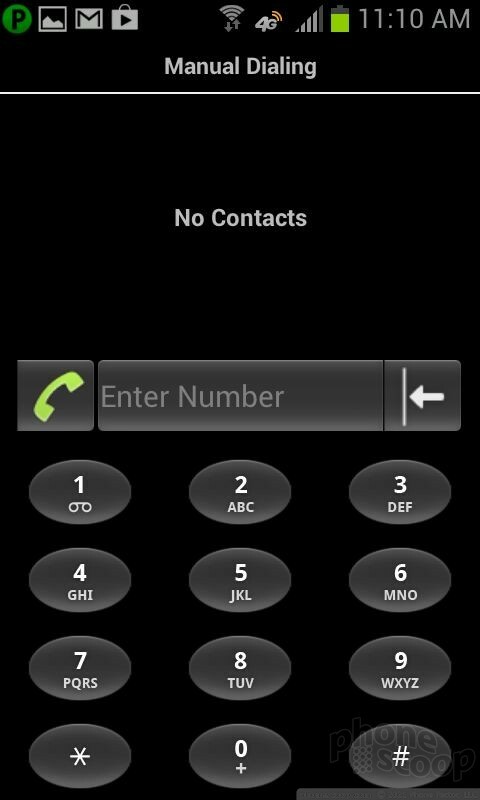 Any PTT session can be converted to a regular cellular phone call with the press of a button. 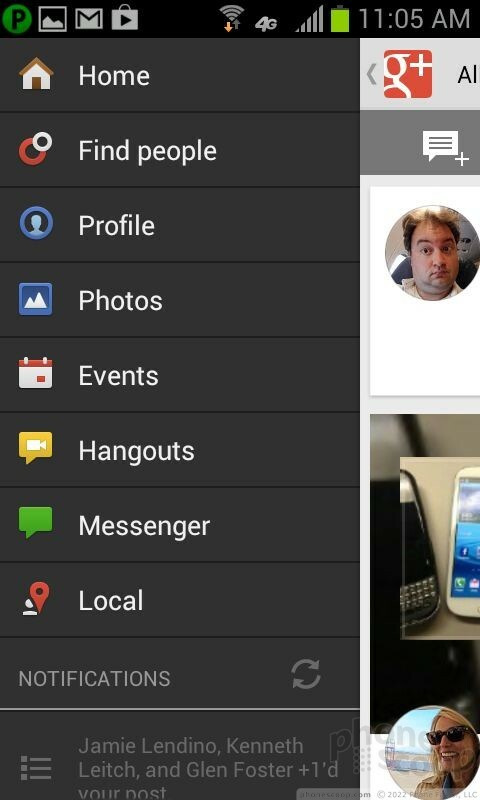 As expected, the Rugby Pro offers the stock Gmail, email, SMS/MMS, Google Talk, Google+, and Google+ Messenger apps. Together with their associated widgets, they make an impressive arsenal for reaching out to and connecting with your friends, family, and colleagues. The Rugby Pro also includes ChatON, Samsung's instant/text messaging application. Rather than send messages via SMS, it sends IMs as network data. 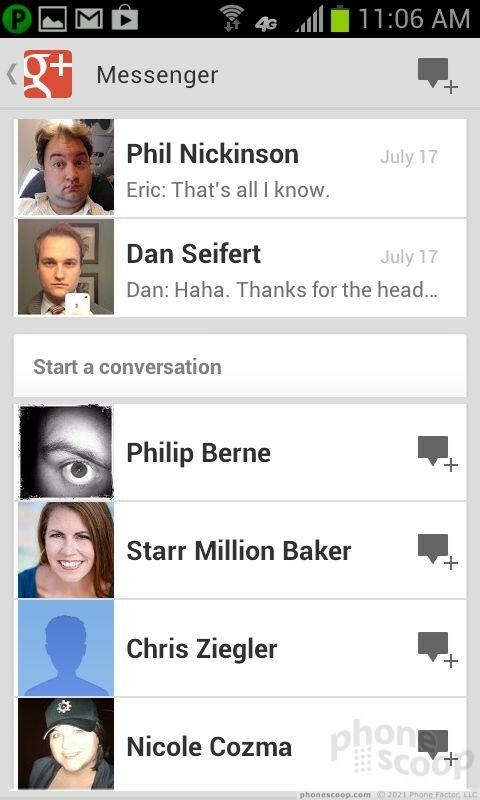 ChatON natively syncs with your Google Talk contacts and the user interface is plain and simple enough to use. ChatON is a cross-platform application, meaning it will work on Android devices as well as iOS, Bada, BlackBerry, and Windows Phone. Neither Twitter nor Facebook is preloaded. You have to download them yourself.